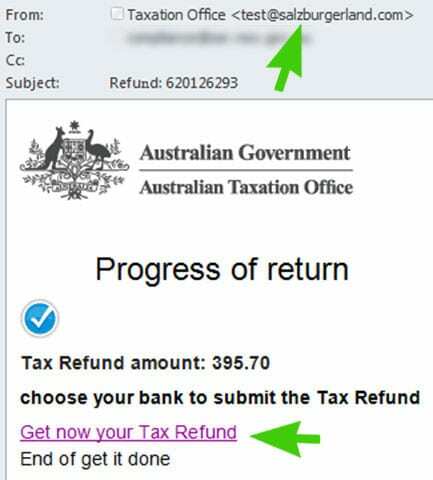 Keep an eye out for scam emails which are promising refunds from the ATO or any Australian Government Department. The latest scam email has the subject of “Refund” and a number which gives the impression that it is related to a transaction or file case number. Clicking on the link will take you to a scammers website where they will try and obtain personal information.